Get a stylish avatar with our classic Non Remy Double Black Hair extensions. Easy to carry, mange and wash, our Non Remy Double Black Hair is a favorite among women. 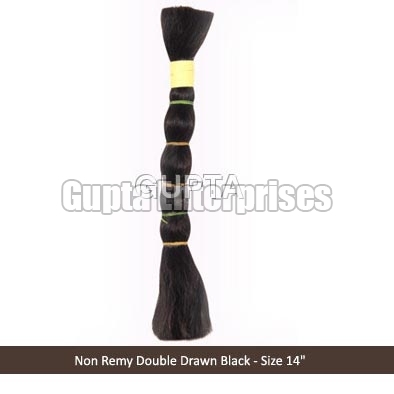 This Non Remy Double Black Hair is processed and preserved without using any chemicals or artificial dyes. Also, this Non Remy Double Black Hair is appreciated for being tangle free and smooth in texture.